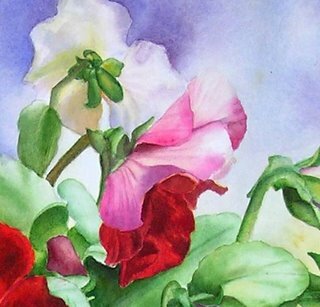 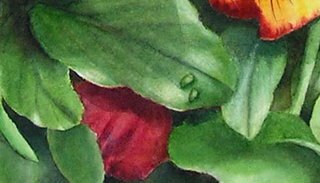 I did not post very much in the past weeks on my blog, but I have to tell you that I was very busy with a new watercolor flower painting. 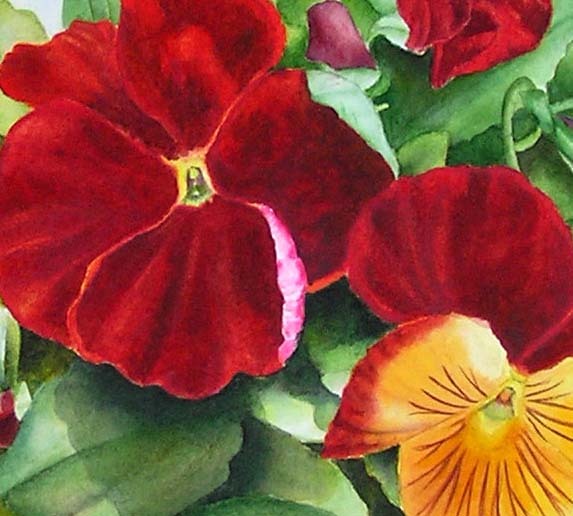 I decided to do another pansy-painting. This spring I bought a lot of pansies and it was a “MUST DO IT” – they were too beautiful and I was very inspired. 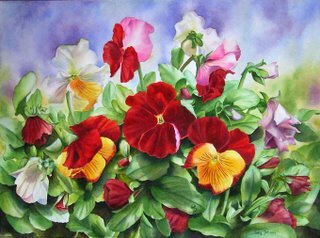 I especially liked very much the red pansies, they are so velvet. 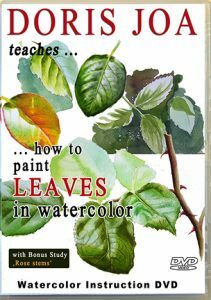 The leaves needed much much time to paint them. 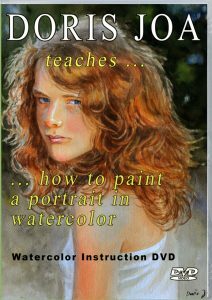 All was painted in many layers to get beautiful and rich colours. 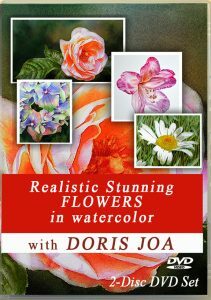 I have used again only transparent colours. I love when the light and the underlayers shine through the next layers. 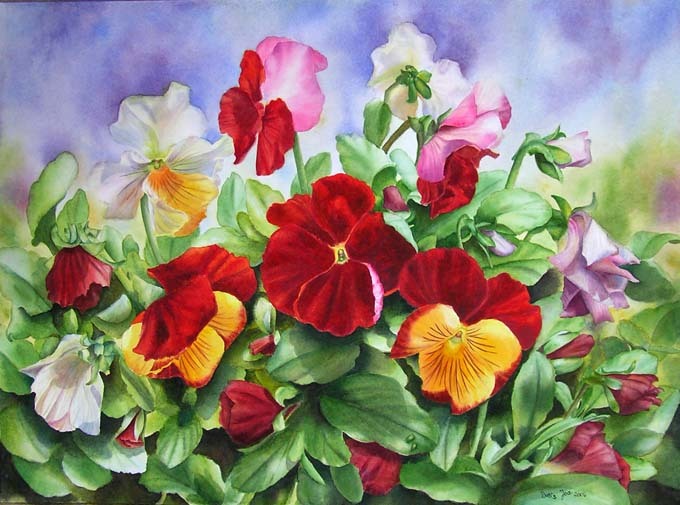 I still have so many more pansies in my garden with beautiful colours – maybe I should do another one? 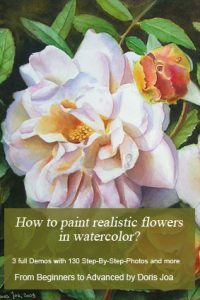 At this time I am working on a new Rose-painting. 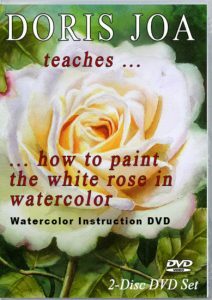 This time I am doing the climbing rose “New Dawn”. 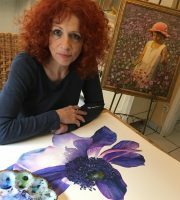 It will be a large painting and will need a lot of time.